Rated 4 out of 5 by oglybogly from Fun Game Fun Game.... I just wish there were more challenging levels. Rated 4 out of 5 by suehi from Too short I like these kinds of games. This one has a bit of a challenge to get gold level, but silver is easy. I enjoyed playing it, but it suddenly just finished. Rated 4 out of 5 by stingstungme from Half a game I adore the Rescue Team series but was disappointed in the length of this game. There are only 41 levels. I usually finish a game over a few days or few weeks. I had all the gold medals and all accomplishments within a few hours. :/ This could have been a great story but they didn't finish it. Rated 4 out of 5 by tiburns from Too short I like the rescue team series. They have made some improvements, but I found the game too short. Rated 4 out of 5 by badgerfann from Another Good Game I love time management games, so was trilled with a new Rescue Team. Instead of just rescuing buildings and people, you also have to rescue wildlife, collect flowers, etc. Which adds some challenge to levels. The one negative I have is the game mechanics are clunky. I had to click multiple times in order to checkmark a move, even though the circle was green around an action. Could see this being extremely frustrating when the levels get harder. Rated 3 out of 5 by alexadem7 from hardly any good guys I didn't appreciate almost all the supposed good guys behaving more like thugs and mercenaries! I didn't find that fun or amusing. And trying to read the characters' dialogue with white text on a peach colored background was not fun or easy either. The game play was OK, but the greedy, despicable behavior of the characters left a bad taste in my mouth which took away a lot of the fun. Really don't understand why the developers did that. Rated 3 out of 5 by katiemacg from Fun, but too short Great time management game, the Rescue series is one of the best, but I played this in about an hour which is way too short for the price. Rated 3 out of 5 by wsb813 from Disappointing Sequel Without any sidequest (ie the houses/land to repair) the game got kind of tedious pretty quickly. I thought the 1st 2 were a lot more fun. Wouldn't buy/wouldn't recommend. Rated 3 out of 5 by _HKG from Half a Game is Better Than None I loved the first Rescue Team game. It was cheerful and fun, and I played it over and over till I had memorized all the levels. I almost didn't buy RT2, because of the creepy music and depressing atmosphere. "Rocking Around the Christmas Tree" played like a dirge? Really! It was depressing that injured people had to wait till I gathered enough gold to save them. But eventually I got used to it, bought it, and played it to death, too. Rescue Team 3 is a real disappointment. The first RT had 60 game levels. RT2 had 50 levels, but it was harder, so I didn't realize it was a smaller game. Rescue Team 3---besides having the VERY annoying dialog that you have to click through on every level to get the actual game===has only 41 levels. And those 41 levels feel like even fewer. To add insult to injury, the last scene says "To Be Continued". Yeah, I guess the developers will keep putting out smaller and smaller sequels as long as we keep buying them. I would not recommend buying this game unless/until you catch it on special for $2.99. It is worth just about that. Rated 3 out of 5 by sharonatoo from Agree with most of the other reviewers Why are the rescuers so slimy? Usually I do not pay a whole lot of attention to the story line, but this one is awful. If you haven't played the other Rescue Team games, do not start with this one. The instructions aren't clear about hiring the rescued workers and I am still not entirely clear if hiring them makes a big difference. It doesn't seem to hard to get through levels. This is an ok game and if you need a new TM game it isn't horrible, at least you can chain the actions. 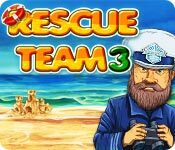 Rated 3 out of 5 by DrDavid from Not good or bad Where Rescue Team 1 and 2 failed to get me to buy them and I did not like the play, Rescue Team 3 did get my money. It seems that this game finally got it close to right. I cannot call it anything more than a decent way to kill time, but as a way to fill time until something better comes along, it worked for me. Not too bad. Rated 3 out of 5 by EMSeifert from Mixed review I've got mixed feelings about this game. I was looking forward to the 3rd version of this game. But there are some negative aspects of it. Good points: great graphics, better than the first 2 in the series. Actions are chained, which should be in all games like this but aren't. I love how there are different workers now for actions, such as hospital workers and firefighters, that free up the main workers. In fact, there are times when the main workers are basically waiting around until the firefighters and the others do their thing, which is unusual for this type of game. Negatives: there is basically no tutorial. You have to know how the game is played, that is, you better have played at least Rescue 1, or you're going to be very confused as to how the game works. Definitely, not for beginners in the series. And what on earth is the point of the free workers in the various buildings, such as the burger cafe and the others? They don't seem to make the resources appear faster, and there is no explanation. It took me awhile to figure out that upgrading the buildings has nothing to do with the free workers plus sign over the buildings. (An arrow indicates the upgrade feature.) The game is very fast moving. I finished it yesterday and it didn't take much time to get there. And speaking of time, it starts before you even make a move, so there's no time to think about a strategy; just jump in and go. And some levels do require figuring out where you should go first to avoid getting stuck. There is also a lot of clicking to get resources, to get something going, to get to the victims, etc. Not a game if you really hate clicking. And when you finish it, it ends with "To Be Continued", so it doesn't really end. Unlike other games, there is no house to renovate, no garden to upgrade, etc. It just ends; a real disappointment. But the really negative part is these rescuers are not very likable. Who the heck invented their dialogue? They come across as mercenary and very callus, nearly as bad at the mayor who is supposed to be the bad guy. Really very strange to put into this game; I wouldn't recommend it to kids, as it's not very funny. Just play the game and ignore the dialogue. Rated 3 out of 5 by OregonTeddy from Corruption, Greed, Bad storyline Ok, I did like the added features from the previous 2 games, however the storyline is horrible. Would you help a corrupt mayor cover up all his wrongdoings? Of course not and this is not what we want our children to learn. I did go through it all in one day, although it wasn't gold on each level. I was disappointed in the end...could have put a bonus there or something? I just have an issue with a Rescue Team who are not heroes. Rated 3 out of 5 by RainbowElf from Hmm! I have bought and played the other games in the series, but this one I am disappointed in. I seemed to whizz through the levels and was significantly through the game before the trial ran out. 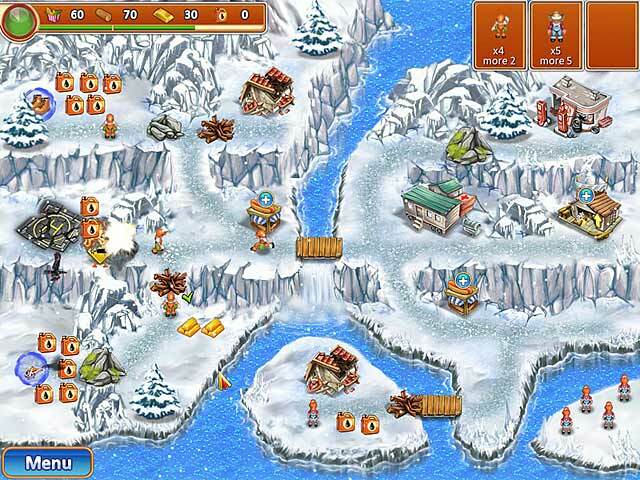 The gameplay is indicative to the series, boats, helicopters and buildings producing resources. You also have a hospital and a fire station in some levels, to help injured people or put out fires. Although the game is timed there seems to be plenty of time to finish the levels, and when finished you will be awarded a trophy on the game progress map. The story was alright, but very similar to other games, corrupt mayor, doing things that he shouldn't with money, trying to cover things up etc. The rescue crew should be good guys not bad guys. Plus it would've been nice to do up your house like in one of the other games, to break up the gameplay. Too simple and too short for myself. Maybe for a beginner to this sort of game it would be perfect. Rated 3 out of 5 by tesamoine from Rescue ME from bad TM games I own Rescue Team 1 and 2, and rarely play them because, frankly, they're quite horrible. I must say #3 is an improvement. There are more things to do, the timer seems a bit more lenient. You can click ahead in this game and it does show where you click... the previous games did not. It has 18 achievements you can earn. You can also hire rescued citizens for the houses, food stands, etc., although that kind of confused me. I'm not sure why I want to hire them. It doesn't really say why you'd want to do this. If you've played the other 2, the graphics are the same, just with some more water and vegetation laying around. The voices saying "wow", etc., are annoying. So another no go for me on a TM game. I keep hoping I come on BF one day and find a good one. Today is not the day. Rated 2 out of 5 by Victorialh from What happened with Rescue Team 3? I have played all of the other Rescue Team games 1-7 and could not even get thru the free trial of this one. The characters are thoroughly unlikeable, the play is clunky and it is nowhere near as polished as the other installments. What were they thinking? Rated 2 out of 5 by pasmo from Not much fun! Didn't like this as well as the other Rescue Team games...you don't rebuild your own house in this one and the characters are sarcastic and hateful. Rated 2 out of 5 by beatam from Waste of money In my opinion this game is waste of money. During free one hour you can do at least 20 level and this game has 40. So you'll play only for one more hour if you buy this game. Game itself it's nice but it's too short. Rated 2 out of 5 by bLuemeLody215 from Not as good as the first two Okay, the graphics and some gameplay aspects were much improved in this game (you can now chain actions, new types of characters like firefighters and cops, new kinds of tasks, etc.). However, the storyline was AWFUL - our cute rescue heroes from the first two games are now burly construction men with mercenary attitudes. Hardly satisfactory good guys. And the number of levels was just sad - the first two games had 50 to 60 (approximately), this one had just 40. And there was no house for me to fix up, which was very disappointing. I bought this without a demo because I enjoyed the first two so much, but I definitely (sadly!) won't be doing that with the next installment. Rated 2 out of 5 by Boomer0210 from What Happened??? Loved Rescue Team and Rescue Team 2 - this one just turned me off. The crass wokers and the big chested blondes just don't do it for me and if you liked the first and second installments, make sure you demo before you buy. Rated 2 out of 5 by jailym from Rescue Team 3 I love part 1 and 2. Part 3 is by far the worst. Boring and too short. Rated 2 out of 5 by chorton414 from Horrible Choice for part 3 I love playing Rescue Team 1 & 2, and play it over and over, but the third one is terrible. 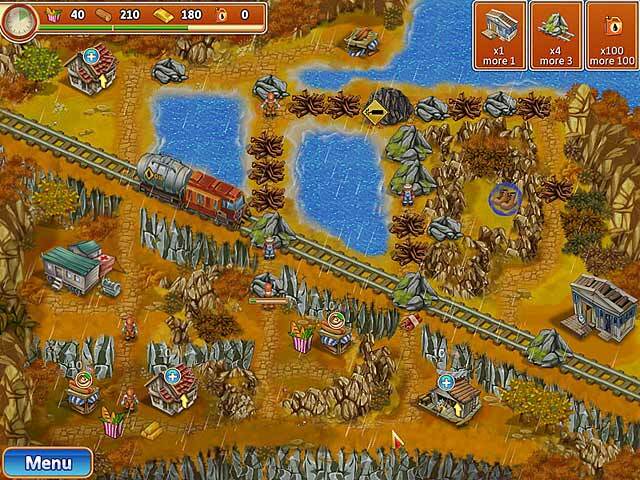 Rated 2 out of 5 by rolliby from Rescue Team 3 Could Have Been More Challenging I really like Time Management games. This one is too slow, cumbersome and I dislike the dialogue between games very much. I played maybe 20 minutes and dozed off a few minutes while playing. When I woke up, I tried to get back into it for a few minutes but I was so irritated and uninspired, I just uninstalled it. Rated 2 out of 5 by jey12345 from Worst Rescue Team yet! I really liked Rescue Team 1 & 2 and have played them over and over, so I was excited to see a third. After playing the trial, I am really disappointed. Even with the 50% sale this weekend, I'm not buying it. 1) The graphics are fancier, which is nice to look at, but it also adds some lag to the game since there is no option to turn off the custom cursor. 2) The rescue team is suddenly creepy bad guys instead of good guys? What's up with that? 3) They added a new feature to this version, where you can "hire" your rescued villagers to run your buildings. I think you're supposed to get more supplies from them, but I never figured out exactly what the benefit is, and it was really more annoying than anything. 4) The workers wander aimlessly when not assigned to a task, rather than staying at home base. And now, instead of seeing how many workers you have available, you can only see how many villagers you have available for hire. 5) There's no house to repair with your earned cash from levels like there was in previous versions. (Which frankly, is fine with me. I never understood the point of those in TM games.) I would still recommend Rescue Team 1 & 2 for a fun TM game, but definitely not the 3rd. 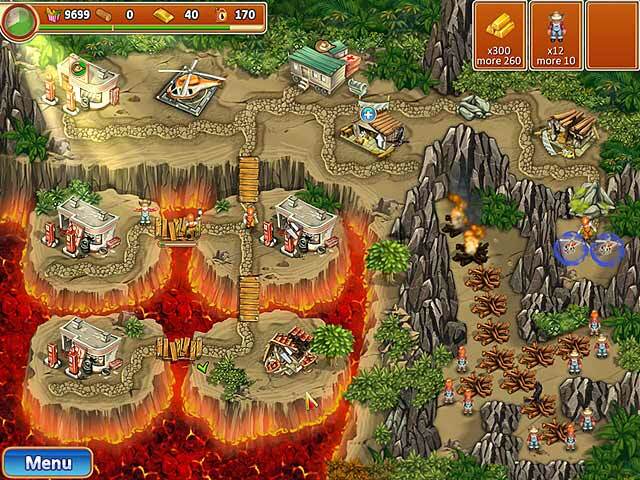 Rated 2 out of 5 by BFFirefly from This is one you really must demo before buying I have the other Rescue Team games. They aren't as enjoyable as other TM/Strategy games but playable. Pros -I liked some of the features that were added to this one; the upgradeable buildings on some levels and that you could send a free citizen to work there to increase that resource for a brief time. -The level of challenge was adequate and required a good strategy in order to get gold consistently on every level without replaying it. Cons -Like others, I too became frustrated by having to find the 'sweet spot' for the check marks for tasks. -More frustrating was not knowing if you were upgrading a building or sending a citizen to work at that building, because you couldn't put a check mark in either and you couldn't tell if either were sent, unless you were watching. With everything else to do while trying to get gold, you don't really have time to watch every miniscule detail and you really didn't know until you saw it happen. -I found many times that I didn't have a free citizen but there was nothing to check to see if I had one or if one was available. By clicking on a building that I thought I was sending a citizen to work at but didn't have one available, it sent a worker to upgrade it, if it hadn't yet been upgraded. Many times that wasted a resource, wood, that I wasn't ready to waste or use and shouldn't have. -After playing the full 60 minute demo, I found it hard to invest in the Rescue Crew, making the storyline not one I really wanted to be part of. Maybe it went further after the 60 minute demo and made them more likable but to me they just came off just as despicable and greedy as the corrupt Mayor. I won't recommend or not recommend this game. Other players may be willing to overlook some of the game play problems I found to be too much of a con so, I think this is a game each person really needs to demo themselves before buying. For me the actual game play was more frustrating than enjoyable and why it won't be a buy at any price or credit. I'm not that desperate for a new TM/Strategy game and can wait for something better. Rated 1 out of 5 by sarahlowe from What a disappointment What a sad disappointment after the fun and enjoyment of all the other games in the series. Very slow, very clunky and an awful story line. I found myself just wishing the levels would be over. Didn't buy.